Have you ever said to yourself, “If only I knew then what I know now?” It’s frustrating, isn’t it? We learn by doing, by experiencing, by searching and by making mistakes. And all that accumulated knowledge can be shared with one another in hopes that it helps. So it became one gigantic university of hard knocks, successes, failures and profound moments. I learned a new volunteerism language, a new volunteer physics of attraction and motion and new applied relativity. Sharing knowledge or experiences is a powerful thing. 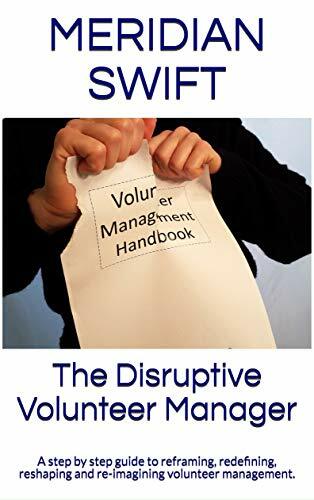 We, volunteer managers need to do more of it. The key to receiving knowledge from others is how you apply it, how it works for you. 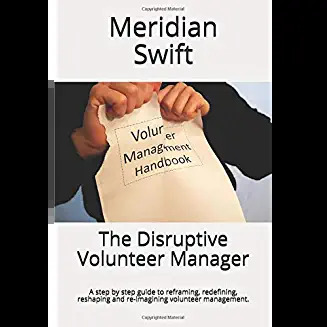 Over so many years, I did discover a few things and I believe it is time for volunteer managers to disrupt our archaic system. Hence, the title for my book which is now available. I hope you will consider it and you will continue to apply knowledge from one another. It’s in my cart! Amazon also recommends this book similar to this genre: https://images-na.ssl-images-amazon.com/images/I/91kCzgvJioL._SL230_.jpg ‘How to Eat More Vegetables”. Sigh. Thank you Gretchen, I ghostwrote the vegetable book, just kidding….. but thank you, let me know what you think!